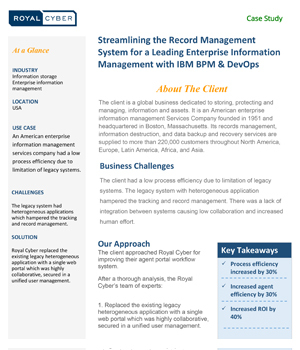 An American enterprise information management services company had a low process efficiency due to limitation of legacy systems. The legacy system had heterogeneous applications which hampered the tracking and record management. Royal Cyber replaced the existing legacy heterogeneous application with a single web portal which was highly collaborative, secured in a unified user management.